*This is not a sponsored article. I thoroughly try all the products I review, and only recommend those I used and worked well for me. This post contains product affiliate links. Hi friends! How is your skin doing this winter? How is your health? Do you wake up energized and renewed, or completely exhausted as if you hadn't slept a wink? Do you have good levels of energy throughout the day? Do you intend to eat healthier this year, perhaps lose some weight, and have beautiful, radiant skin? Get fitter both mentally and physically? Well, I intend to do all of that this year, and I've come up with a plan, one that includes using some of the best products I've reviewed. Beauty is not just skin deep, it comes from within! To be beautiful, you have to nourish your body and soul as well (1). That means eating well, and eating more fruits and vegetables! I really like Splendid Spoon's plant-based and gluten-free soup cleanse program. Back in 2017, it helped me develop a deeper love for veggies and prepped me for clean eating. It also helped solidify my intermittent fasting habits. If you're busy, and find yourself grabbing fast food for lunch, or eating poorly while you're at work, why not try Splendid Spoon's program? You can start with a Soup Cleanse for a week. With the cleanse, you would begin your mornings with a delicious smoothie, and have a yummy soup bowl for lunch. On day 5, you'll be drinking a lot of liquid soups, and have one soup bowl for dinner. Read more about my soup cleanse week here. Feel free to use our Ambassador Perk link, splendid.to/PHILANDMAMA20, to receive $50 off your first order! Let me know what you think about their smoothies and soups! They're really yummy and convenient! You'll be blown away by their thoughtful and pretty packaging. *Phil and Mama is part of the Splendid Spoon Ambassador Program. While we're still on the topic of liquid diets, I also recommend you trying Soylent 2.0. To learn more about Soylent, read my thorough review here. Soylent is a vegan meal replacer, great for busy parents who work or are always on the go. I'm so energized and strong that I was able to eat dinner with one hand, while holding Phil's bowling-ball heavy head up during the entire meal! Around November of 2017, we invested in a Peloton bike. We decided to buy the bike after we were able to finance it monthly. Note that you have to pay a monthly fee of $39, and the bike itself is $1995 USD. Peloton's accessories and apparel aren't cheap. We always wait for a sale before we buy their clothing line. Note that during the sales, their products get sold out very quickly. You can also always get a promo code or a referral name to get $100 off accessories. We are so in love with our Peloton bike and have become fans. It's so convenient to be able to take live and recorded classes, right in the comfort of our own home. The instructors are amazing, especially Robin. She makes me believe that my sweat is liquid gold, and that I'm a queen on the bike. Peloton can motivate any couch potato to get into shape. You may not lose weight immediately, but you're heart muscles will get healthy, you'll build endurance, and strength, and your overall fitness levels will improve. Peloton helps you form a fitness habit. It's also easy to fall out of a habit, so you will have to devote some time every day or every other day to gear up and hop on the bike. The bike is especially nice during the colder and rainier months (for us in Seattle at least). I find that after a few months of biking, I barely break a sweat or pant after jogging laps at a park. Peloton is great and we highly recommend it! I'm such a Peloton fan girl! See my pretty cap? I think I learned about Hanacure masks through ads on my Facebook page. I looked into the mask itself and saw that Drew Barrymore swears by it. I forked out I believe $129 USD and bought four masks, and used one once every one to two weeks. 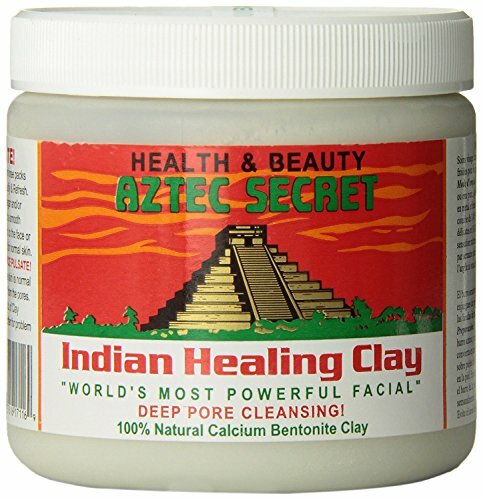 If you'd like to try a cheaper alternative, try Indian healing clay. (See below.) As it dries, it wrinkles up your face the same way Hanacure does. Verdict: Skip the Hanacure masks, or just buy the cheaper trial set (one mask vs four) to try it. You may love it more than I did! I won't be buying any more Hanacure masks any time soon! My new loves are my Tatcha beauty products. Tatcha donates to charity (Room to Read), is cruelty-free and does not test their products on animals. Their products are made in Japan and are free of parabens, retinol, BPA, salicylic acid and other ingredients that aren't deemed "pure enough" for our skin. During the holidays when the sales were amazing, I splurged on a Tatcha set and a night cream. I received a lot of trial-sized products to try for free as a part of Tatcha's promo. I've tried their masks, their day cream, and two rice enzyme washes. So far, I'm loving Tatcha. I use the normal to oily set, and my beauty ritual includes washing my face with an oil cleanser, exfoliating with rice enzyme, purifying with an essence (serum), and moisturizing with either a day cream or a night cream. Instead of going through a daily ten-step beauty routine, I only have four steps. My skin has been so smooth, dewy, and soft. It glows everyday. What Tatcha hasn't helped with, however, is my hormonal acne. I did notice that my acne comes to a head quicker (white head) and gets noticeably paler with Tatcha use, especially after using the Indigo rice enzyme powder exfoliating wash.
Cheaper alternative: I can't think of any! Check on QVC (join Ebates), and buy Tatcha on QVC when there are price drops. Make sure you join Ebates, especially if you're a heavy online shopper like me. Since 2017, I've made back over 400 dollars by using Ebates before I make a purchase online! Verdict: Splurge on Tatcha and begin a beauty ritual that is right for your skin type. So far, I've tried two vitamin C serums for my skin, and both have helped dry up my hormonal acne and decrease inflammation on my skin. Vitamin C serums make the skin glow and radiant, and keeps it nicely hydrated. Research also shows that topical Vitamin C may improve/enhance collagen synthesis (and fight signs of age!) (2, 3). I also feel that vitamin C serums, ones that include Vitamin E, hyaluronic and ferulic acids, work best. For a while now, I've been using Timeless Skincare (read my review here). The serum is clear, almost scentless, and smooth and non-sticky. It absorbs well into your skin. The Glow Maker was also formulated by a founding group of engineers from MIT (smart people! ), and the CEO is a woman (go girl power!). It is cruelty-free, vegan, made in the USA, and free of SLS and parabens, fragrances and dyes. The serum remains very clear without refrigeration. It is non-sticky, it absorbs well into my skin, and it is true to its name: The Glow Maker makes my skin glow. The Glow Maker is branded as a more premium and luxury product. 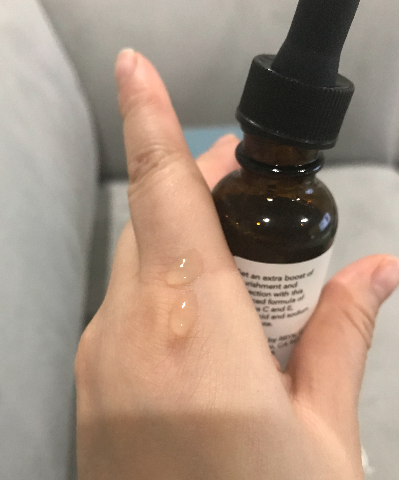 It has, as mentioned before, a botanic blend that's proprietary, Vitamin C and E, hyaluronic acid and ferulic acid- making it a very unique serum on the market. It can also be used as a makeup primer! The price is good at $27.95. Comparable blends (that don't include the botanic ingredients) go for similar pricing: $29.99 for Natural Best's brand of vitamin C serum, for example. Maelove's Glow Maker comes in beautiful packaging. It's a very personalized experience to receive the Glow Maker in the mail. If you want to add a quality vitamin C serum to your beauty bag, I think you can't go wrong with the Glow Maker! Want to try the Glow Maker? Enter our giveaway today to win a sample bottle of Glow Maker! Three winners will be chosen, and one bottle will be given away to each winner. The winners must have a USA address to receive the prize. Giveaway contest ends on 2/14/18 at 12:00AM EST. Please register with a real email address so that we can contact you. Good luck! After pregnancy, I've been losing hair. At one time, certain parts of my scalp looked bald! I've been using Kiehl's thickening shampoo for over a month now and noticed a bit more volume in my hair. I've also looked into fermenting my own rice water hair wash. This is an interesting video to check out! That's it for now in our big beauty recommendation review post! Let me know if you would like to learn more about any other products. I'd be happy to review them for you, my friends! Here's to a beautiful year!